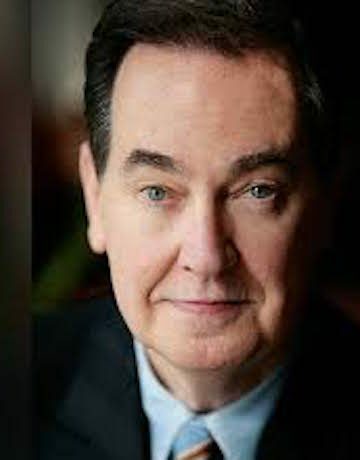 Cal Thomas is one of the most widely syndicated political columnists in America. With tireless curiosity and seasoned reporting prowess, Thomas examines all the hot-button issues in America and the world, whether the growing threat of terrorism, racial tension, economic decline or a range of social and cultural developments. His more than 35 years as a columnist, author, broadcaster, and speaker—including access to world leaders, U.S. presidents, celebrities, educators, and countless other notables—give his columns a perspective virtually unmatched in political commentary. He is an excellent choice for point/counterpoint presentations and doesn’t hesitate to skewer partisan politicians of any stripe. A graduate of American University, Thomas has worked for NBC, CNBC, PBS, and Fox News. He has appeared on NBC Nightly News; Nightline; the Today show; Good Morning America; CNN’s Crossfire; Larry King Live; and Oprah. He has been given a George Foster Peabody team reporting award, been nominated for a Cable Ace Award for Best Interview Program and won awards from both the Associated Press and United Press International. A writer of force and clarity, Thomas has authored 12 books, including Blinded by Might: Why the Religious Right Can’t Save America; The Things That Matter Most; The Wit and Wisdom of Cal Thomas; The Death of Ethics in America; A Freedom Dream; and What Works: Common Sense Solutions for a Stronger America. 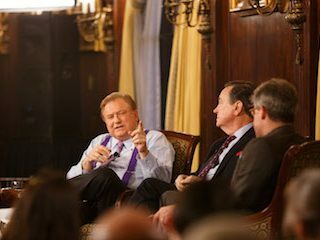 He coauthored the book Common Ground: How to Stop the Partisan War That Is Destroying America with his friend and political opposite Bob Beckel. In addition to his journalistic and literary achievements, Thomas lectures frequently on college campuses and is in great demand as a speaker.